In 2014, the arrest and detention of thousands of desperate young migrants at the southwest border of the United States exposed the U.S. government's shadowy juvenile detention system, which had escaped public scrutiny for years. This book tells the story of six Central American and Mexican children who are driven from their homes by violence and deprivation, and who embark alone, risking their lives, on the perilous journey north. They suffer coercive arrests at the U.S. border, then land in detention, only to be caught up in the battle to obtain legal status. Whose Child Am I? looks inside a vast, labyrinthine system by documenting in detail the experiences of these youths, beginning with their arrest by immigration authorities, their subsequent placement in federal detention, followed by their appearance in deportation proceedings and release from custody, and, finally, ending with their struggle to build new lives in the United States. 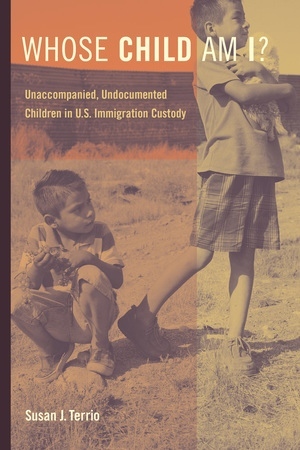 This book shows how the U.S. government got into the business of detaining children and what we can learn from this troubled history. Susan J. Terrio is Professor of Anthropology at Georgetown University. She is author of Judging Mohammed: Juvenile Delinquency, Immigration, and Exclusion at the Paris Palace of Justice and Crafting the Culture and History of French Chocolate. "How did the US government get into the business of detaining thousands of unaccompanied children every year? How did this become the dominant paradigm for dealing with very young and vulnerable migrants fleeing poverty and violence in Central America? These questions are urgent and topical as the US confronts massive inflows of unaccompanied child migrants along its southern border. With masterful and accessible prose, Susan Terrio answers these questions. She combines poignant attention to human detail with an impressive grasp of relevant history, law, policy and practice. Essential reading for anyone interested in one of the US's most urgent contemporary human rights challenges. "–Jacqueline Bhabha, Professor of the Practice of Health and Human Rights, Harvard University.